Three insulation test voltages of 250V, 500V, and 1000V. 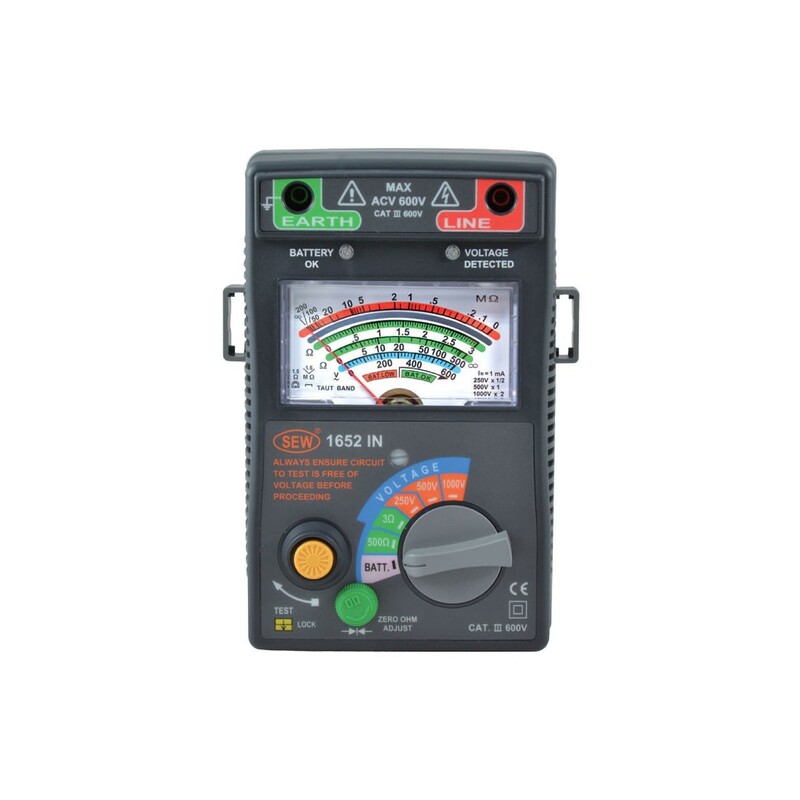 AC voltmeter with a linear scale up to 600VAC. Manual zero ohm adjustment with low battery consumption. LED indication of voltage detected. DC Volts: 250V, 500V, 1000V. AC Volts: 0 to 600VAC (±3% Reading). Measuring Ranges: 0-100MΩ, 0-200MΩ, 0-400MΩ (±5% Reading). Safety: EN61010-1 CAT IV 600V, EN61326-1. Included: Manual, Test Leads, Batteries, Shoulder Belt, Carrying Case.